The stay in England was not a happy one for Bennelong and Yemmerawanne, with both men being afflicted with bouts of illness. Far from their families and Wangal country, they became increasingly home-sick and despondent. Yemmerawanne died at Eltham and was buried on foreign soil. Weak and depressed, Bennelong returned to Sydney with the new Governor, Captain John Hunter. The two natives of New South Wales at present in this metropolis, are in appearance scarcely human; they continue to reside in Mount Street, Berkley square, in the neighbourhood of which they are to be seen daily; they cannot walk without the support of sticks, and appear to have lost all that agility they are said formerly to have possessed; one of them appears much emaciated; notwithstanding they are indulged in every inclination, they seem constantly dejected, and every effort to make them laugh has for many months past been ineffectual. The two natives of New South Wales at present in this metropolis, are in appearance scarcely human; they continue to reside in Mount Street, Berkley square, in the neighbourhood of which they are to be seen daily; they cannot walk without the support of sticks, and appear to have lost all that agility they are said formerly to have possessed; one of them appears much emaciated; notwithstanding they are indulged in every inclination, they seem constantly dejected, and every effort to make them laugh has for many months past been ineffectua. Yemmerrawanne’s died on 18 May 1794 at Eltham of a lung ailment. The London newspapers briefly noted his death, adding, ‘His companion pines much for his loss’. Weakened by illness, Bennelong boarded HMS Reliance at Chatham on 22 July 1794 and remained there as a ‘Supernumerary’ ‘borne for victuals only’. The ship, under the command of Henry Waterhouse, did not leave port until 2 March 1795. 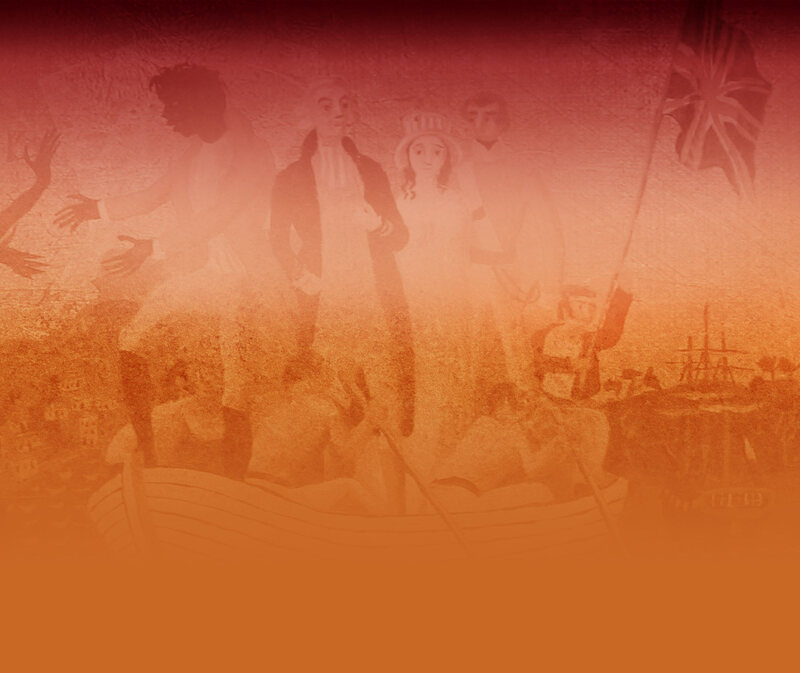 Bennelong’s fellow-passengers included Matthew Flinders, George Bass, John Hunter (the new Governor of New South Wales) and master shipwright Daniel Paine. After treatment by the acting ship’s surgeon, George Bass, Bennelong soon recovered. During the course of the voyage Bennelong provide Eora words to both Flinders and Paine.